Kitsa Metaxatos - Kitsa is a graduate from ABBA Advanced Hair Academy in California and has been working her passion in hair educating herself constantly since 1987 and loving everything about this ever changing business. She gives her clients 100% and enjoys seeing them happy and glowing when they leave her chair! She loves to inform and educate her clients about their ever changing hair needs. 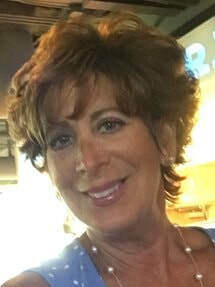 She enjoys meeting new people connecting with them and discussing with them how to achieve the perfect hair color, keratin smoothing treatment, and haircut that will make them feel and look great when they leave the salon. That is her most important goal with every client! She looks forward to meeting and hearing from you. The best way to reach her is to call her cell at 704-965-5865. Please feel free to leave a message if you get her voicemail and she will return your call as soon as she is not with a client. Diane Giglio Sayles - I have 42 years experience in Hair Design. Specializing in all facets of hair, precision haircuts, perms, hair coloring and dimensional hair color. I was an educator with Zoto's platform artist in continued education. I offer free consultations by way of bone structure and face shape in recommending the perfect cut that would compliment you and your personal lifestyle. I go by your skin color tone to recommend the perfect color that will be complimentary for you. My designs have very little maintenance, suggesting the proper products to achieve that salon look and showing you step by step how to style your hair. I love being creative and sharing my creativity with all my clients. I have always taken pride in my art, especially seeing my clients face after their new makeover. Call today for an appointment at 704-892-7855. Beverly Andrews - I am an outgoing Hairstylist that has been working with clients for 30 plus years. I keep up to date with the latest trends, attending shows annually. My clients range from women, men, and children of all ages. I offer professional haircuts, Foil Highlights and Lowlights, root color, perms, Keratin smoothing treatments for curly/frizzy hair that lasts up to 3 months! I even do rollsets!! I work with clients who purchase wigs and need them trimmed to shape and framed to your face. Call to schedule today! I would love to meet you and provide you with your hair service needs. Call me at my personal business number 704-661-3771. Joy Gillon - I have been in the beauty industry since 2012. I attended cosmetology school at Rowan-Cabarrus Community College and still continuously seek further education to help me keep up with the latest trends. Right out of school, I worked at a high end salon, where I took many advanced color and cutting classes that I continue to use. I LOVE this industry because I like to make people happy and feel great about themselves. Everyone that sits into my chair, whether a new or established client, has a different story and wants a different look and I get to help them accomplish that! What greater feeling could you want than to see your clients face glow when they see their hair transformed? The best compliment, is someone else's compliment of my work! I specialize in color anywhere from an all over foil highlight to an all over balayage, so I love a good challenge. To book an appointment you may call or text 704-578-5012. Let's make some beautiful hair! 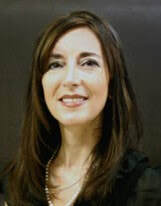 Terri Pelchat - Terri has been in the business of making people look and feel their best since 2012. 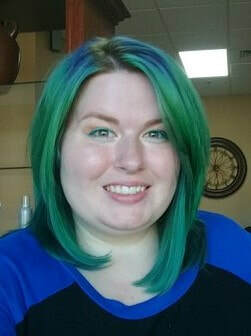 A graduate of Paul Mitchell The School Charleston, she spent the first two years of her career working as an apprentice in a high-end salon where she was able to hone her skills in cutting, coloring, and styling hair. She specializes in dimensional color and blondes, and regularly attends advanced classes to stay up to date with the current trends. 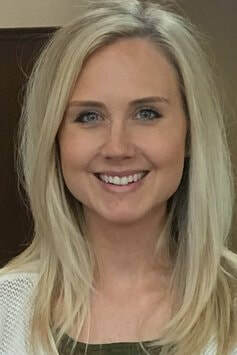 Most recently, she became certified by The Business of Balayage in their highly sought-after balayage and modern coloring techniques, and also in Peter Coppola Keratin Treatments. Terri's clients love her attention to detail and practical solutions for their hair concerns. 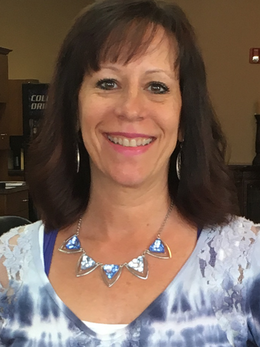 Terri moved back to the Lake Norman area in 2014 and is excited to share her passion for hair with you! Her hours and prices, as well as online booking can be found at www.vagaro.com/terripelchat. If you're unsure of which services to book, please call or text Terri directly at 704-363-6600.